Modern Steak has been on my list of places to go for a really long time. Everyone had raved about the food and I couldn’t wait to check it out for myself. I finally had a chance to go yesterday to celebrate an early birthday with friends. Since The Big Taste was going on, we decided to do that menu. It was amazing! We started out with the best server who was very attentive all through dinner. 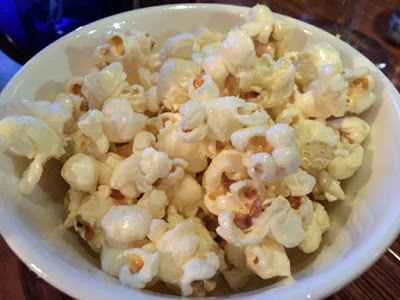 Our meal began with truffle popcorn which was a fantastic treat. I love truffle oil and paired with popcorn, well, it was delish. 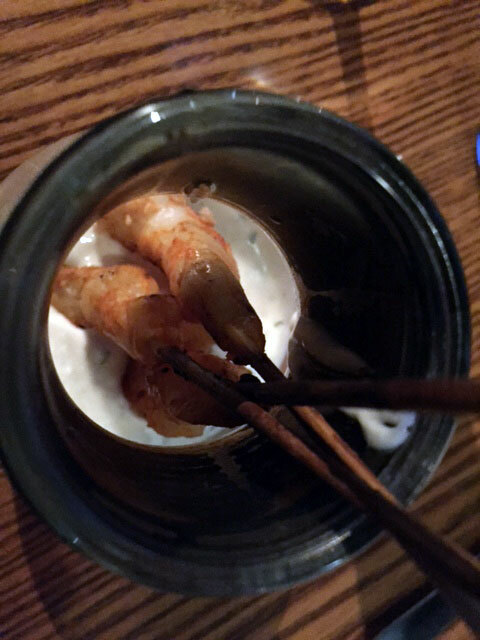 The first course was the Prawn Bong – grilled spicy prawns served with a cooling mint creme fraiche. The prawns were cooked to perfection and paired well with the creme fraiche. 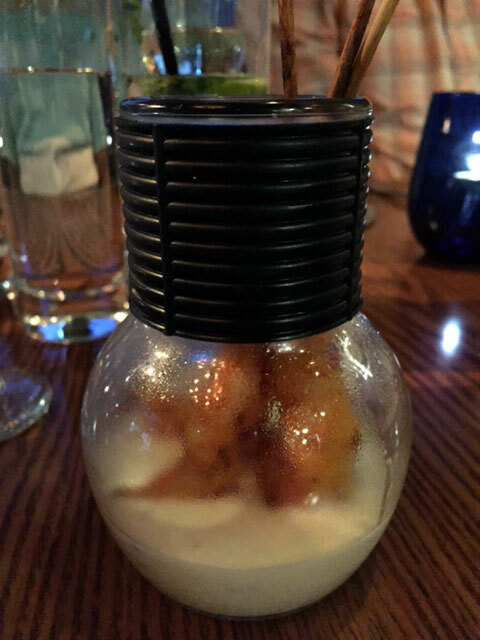 It took a lot of will power for me to not drink the minty sauce. Our second course was the Brant Lake Wagyu. 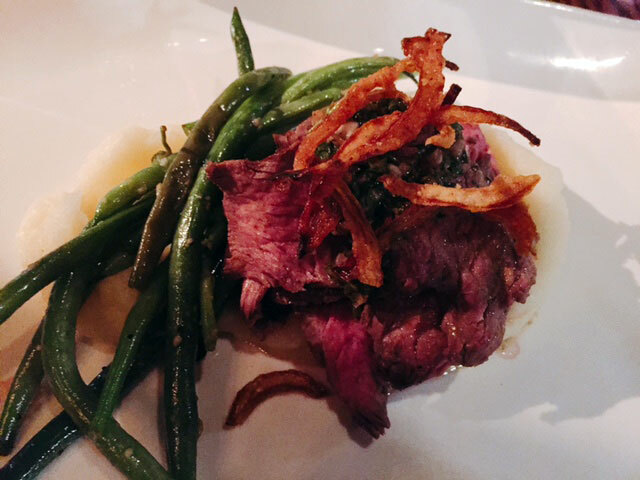 The petite tender steak was sliced and served with chimichurri on top of mashed potatoes and garlicky green beans and topped with crispy fried onions. The steak was cooked to medium rare and was so tender and flavourful. The potatoes were creamy and the beans were crisp – it was a delicious main course. The meal was rounded out with a bowl of gelato. Great food and great friends – it was the perfect evening. 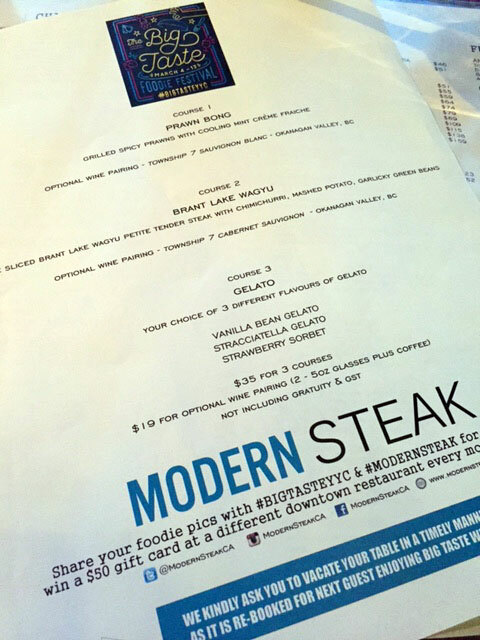 If you haven’t been to Modern Steak, it is definitely worth checking out. Owned by Stephen Deere, the restaurant has been rated the top steak place in Calgary, and now I know why. I can’t wait to go back soon!